Following the granting of Independence to the British territories of North Borneo, Sarawak and Singapore on 31 August 1963 the state of Malaysia was formed by the joining of these territories with the Malay Peninsular States that had achieved independence in 1957. Brunei, although located on the north of the island of Borneo opted not to join this new state and Singapore was expelled from the state in 1965. The formation of Malaysia should have heralded a happy and prosperous time for at least two-thirds the populace of this beautiful tropically afforested region of South East Asia. Unfortunately President Sukarno of neighbouring Indonesia decided he did not want what he referred to as a ‘puppet state’ on his doorstep and, by armed aggression took steps to oppose the formation. His immediate action was to result in an unsuccessful incursion into Brunei, and small units of regular and irregular troops were sent into the territories formerly known as Sarawak and Sabah to carry out terrorist raids and spread propaganda. These initial incursions were quickly followed in 1964 by raids on the Malay Peninsular or West Malaysia as it was then known. Thus began the armed conflict that became known as Konfrontasi or Confrontation. Sukarno realising he could not successfully halt or postpone the formation of Malaysia decided to implement his plan to ‘crush’ it. He used the word ganjang in his speech but it does not literally mean to crush, maybe he meant ganjah, to strike hard, who knows? It was presumably about this time that Malaysia asked for assistance from the British and Commonwealth governments in fighting off the aggressor. In response Great Britain, Australia and New Zealand acceded to this request by sending units from all three of their armed forces to the region. 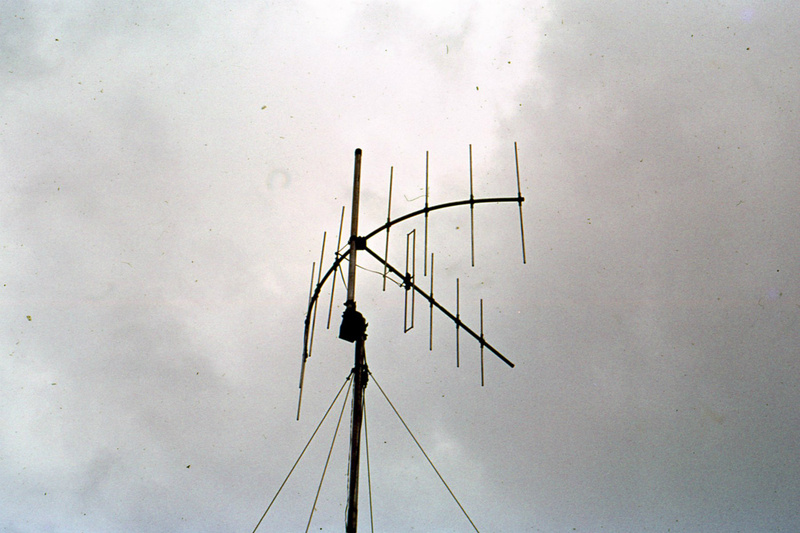 Among these units there was a small RAF go-anywhere Signals Unit tasked with intercepting the radio communications of the enemy in this undeclared war. Because of the secretive nature of this unit the operators were soon to be referred to by other RAF personnel as ‘Spooks’. On this site, in the gallery, the reader will be able to see a number of photographs taken during this period in history. 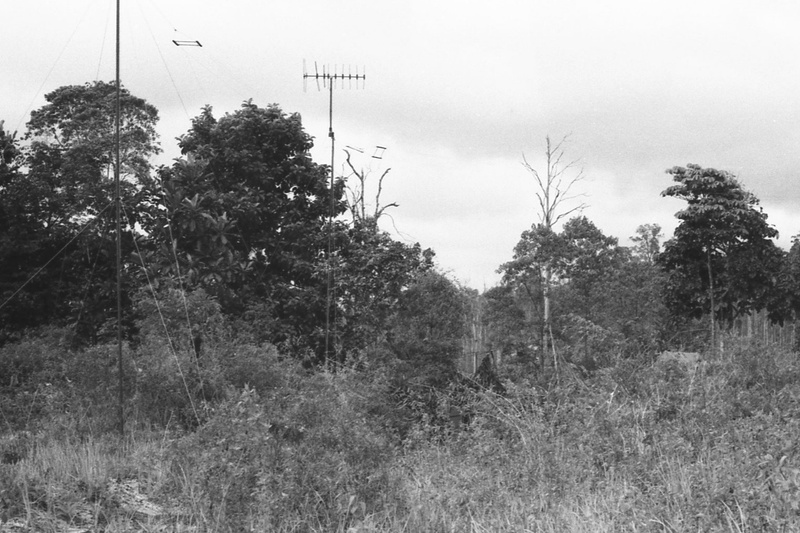 Antenna erected in the jungle on the Malay Peninsular. A number of tents and radio equipped Land Rovers are hidden in the surrounding foliage. Photo: Alan Pinder.